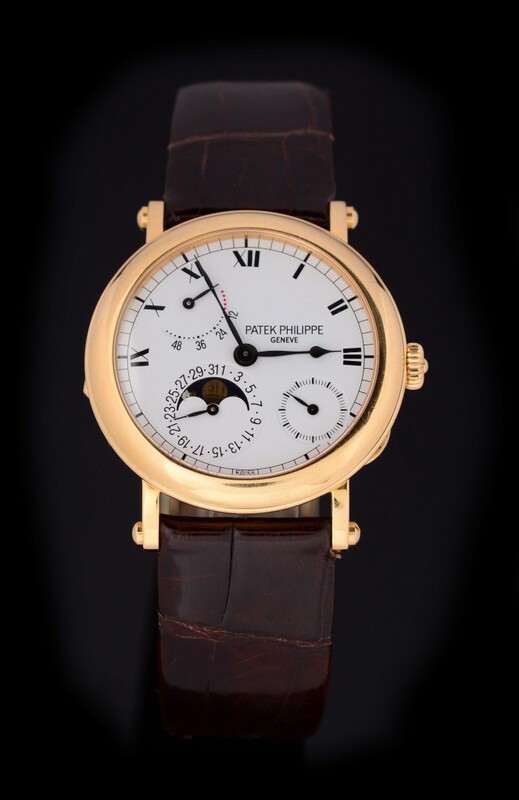 Morphy Auctions will conduct a Premier Watch and Timepiece Sale on Monday, January 8th, at 6pm Pacific time. All lots are on display and available for preview by appointment only in Morphy's Las Vegas gallery. 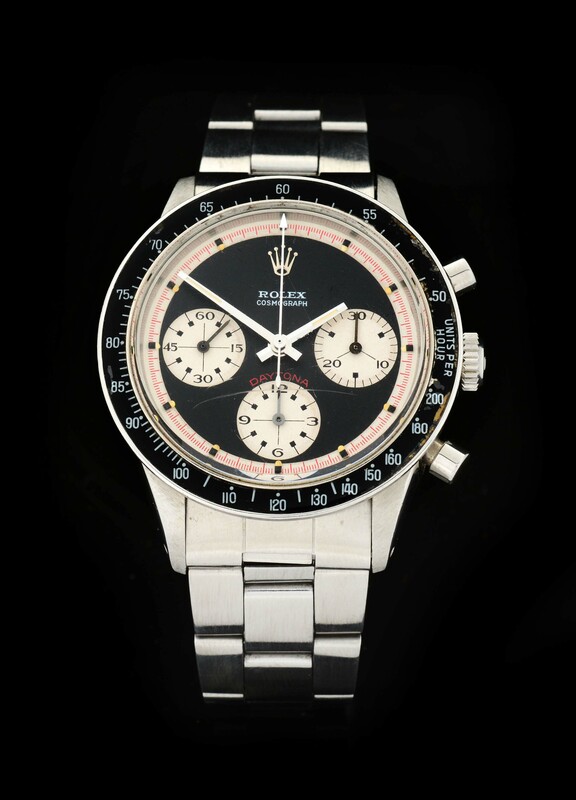 The auction features a pair of Rolex stainless steel “Paul Newman” Cosmograph Daytona Rolex wristwatches and a Rolex model 6263 stainless-steel Oyster Cosmograph Daytona wristwatch; a Patek Philippe 18k yellow gold model 5054 Power Reserve Moonphase wristwatch; a stainless-steel model 3466 Patek Philippe Calatrava wristwatch; and an 18k yellow gold model 3563 2 Patek Philippe wristwatch. Cartier will be represented by an 18k yellow gold Cartier model 69074 wristwatch; an 18k yellow gold women’s Cartier diamond bezel Panthere wristwatch; and a large, 18k model 1740 Cartier Tank Americane watch. Omega fans will be treated to an 18k rose gold model 175.0084 Omega Speedmaster Chronograph wristwatch; and a stainless-steel Omega Speedmaster Caliber 861 wristwatch (stamped on the back, “Flight-qualified by NASA for all manned space missions, the first watch worn on the moon”). 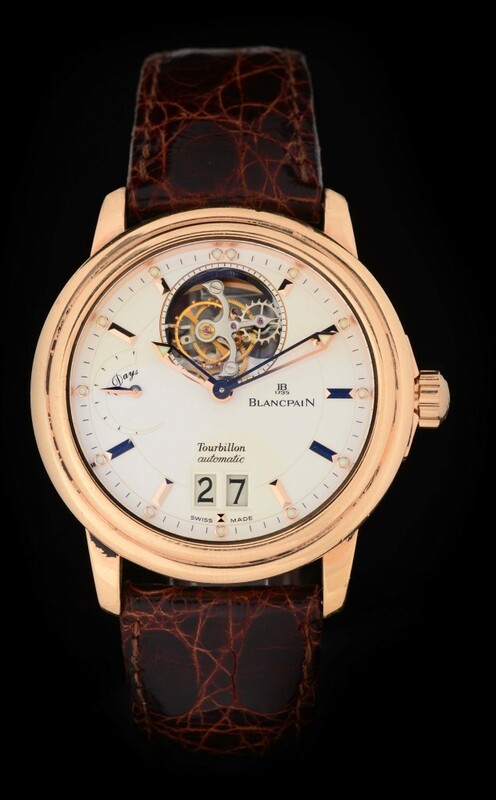 Other makers will include Breitling, Bvlgari, International Watch Company and more. Click here to find out more. Milestone Auctions in Willoughby, Ohio co-owner Miles King predicts the New Year 2018 Auction slated for Saturday, January 27th will be the company’s first million-dollar-plus sale. 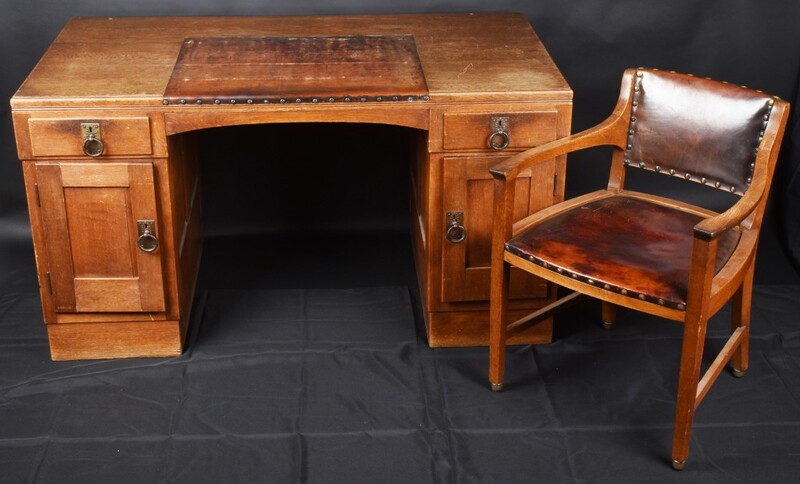 The lineup of auction goods is locked and loaded for bidding, with an extensive highlight selection of firearms, militaria and historical memorabilia, including one-of-a-kind Civil War and World War II artifacts. Komar & Melamid’s 1982 original painting titled Yalta Conference, from the collaborating artists’ Nostalgic Socialist Realism series, has been exhibited at The Louvre, Paris, and the Kelvingrove Art Gallery and Museum in Glasgow, Scotland. 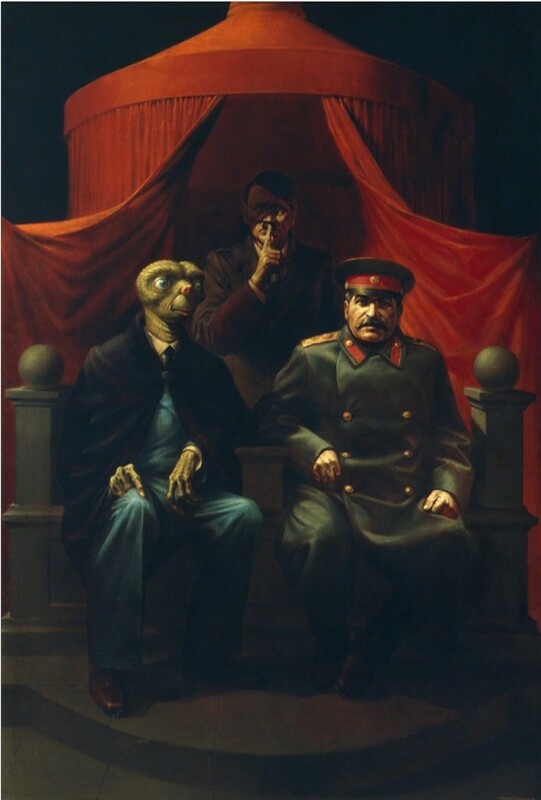 The sizable (72 x 50-inch) oil-on-canvas depicts Franklin D. Roosevelt with a lizard-like head reminiscent of E.T., seated alongside Josef Stalin. The subtext of the painting suggests that a mating of superpowers would produce as its offspring a postwar world in which symbols of American and Soviet power are interchangeable. In the shadowy background, Adolph Hitler holds an upraised finger to his lips, as though cautioning silence. 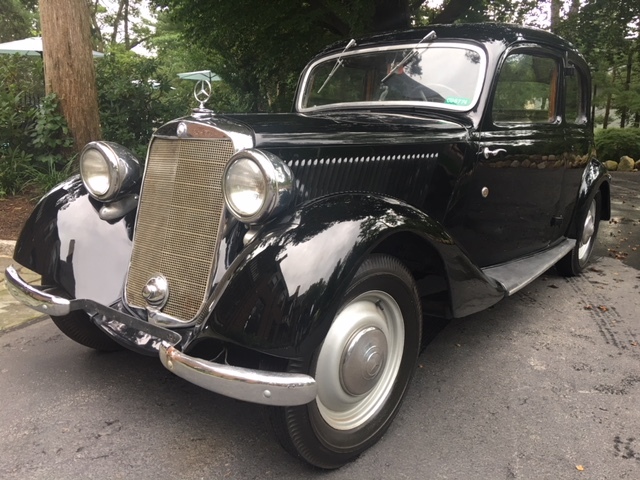 Estimate: $800,000-$1.2 million. For their first sale of 2018, Myers will present a beautiful selection of 16th to early 20th-century European paintings, heavy antique silver, exquisite European and Chinese porcelain, jade and hardstone carvings, antique scrolls, woodblock prints, carved furniture, fine jewelry, and many other items with interesting provenance, such as Meissen serving pieces from the estate of Jacqueline Kennedy. 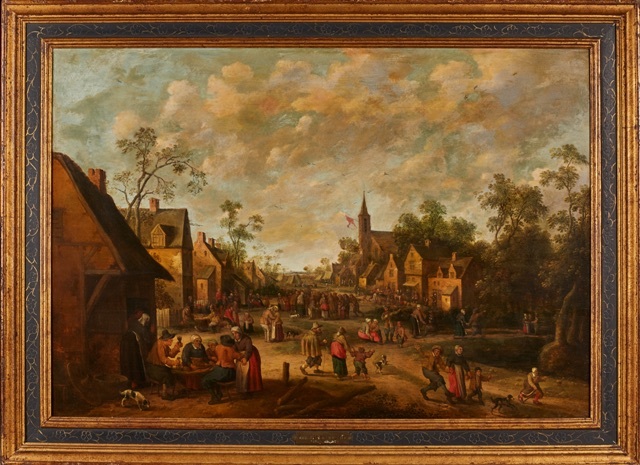 A sampling of the contents includes an oil painting by Joost Cornelisz Droochsloot (Dutch, 1586-1666) depicting peasants feasting in a village (est. 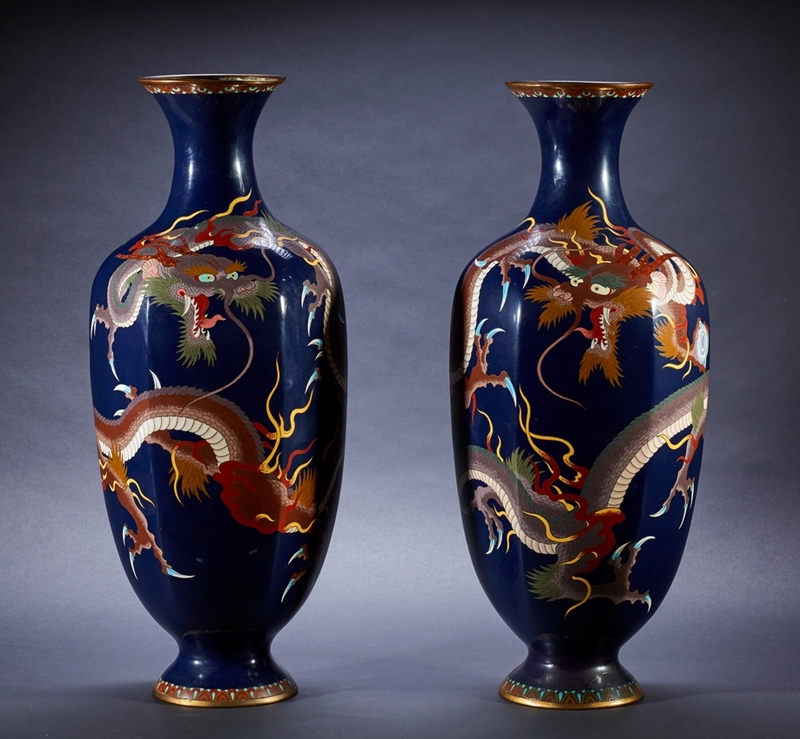 $20,000-$40,000), a pair of Japanese Meiji period dragon-motif cloisonné enamel vases (est. 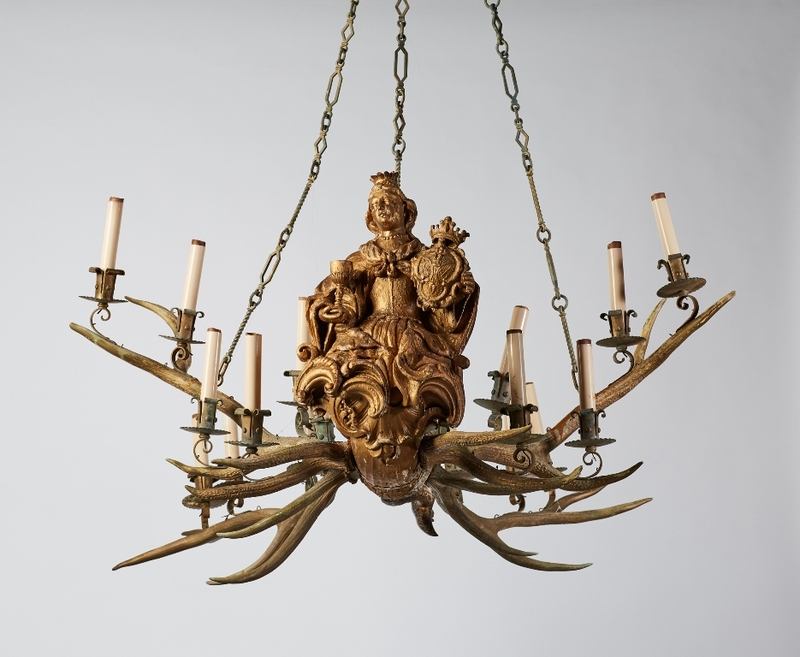 $1,000-$2,000), and a pair of 19th-century German Black Forest mermaid 16-light elk antler chandeliers formerly at the Yale Club, New York City (est. $5,000-$10,000 pair). Photos from 1929 show the chandeliers in use at the prestigious club. Visit www.myersfineart.com.